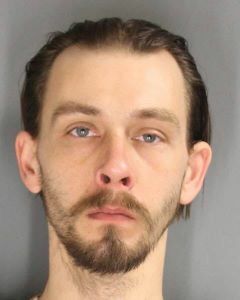 April 3, 2019 FOR IMMEDIATE RELEASE: On Wednesday March 26th 2019, Justin Faatz escaped custody from the Hoosick Falls Police Department. Hoosick Falls Police, along with the New York State Police and other agencies followed up on numerous leads. It was determined early in the investigation that Faatz was in the Athol Massachusetts area. The Athol Police Department and other surrounding law enforcement agencies were notified immediately and actively followed up several leads. 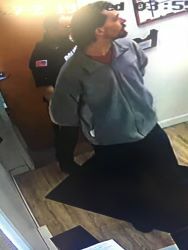 On Tuesday, April 2nd at about 9 a.m., Athol Police acted on a call to check on the welfare of a person and discovered the body of Justin Faatz at an apartment in Athol. It appears that Faatz died of a drug overdose. An autopsy is scheduled for a later date. March 27, 2019 NOTICE IS HEREBY GIVEN that a special meeting will be held by the Village Board of Trustees of the Village of Hoosick Falls on Thursday March 28, 2019, commencing at 6 p.m. at the Hoosick Falls Village Hall, Municipal Building, 24 Main Street, Hoosick Falls, New York, for the purpose of rescinding action taken by the Board of Trustees at the March 26, 2019 special meeting regarding the acceptance of bids and award of certain contracts for the Village of Hoosick Falls highway garage project; and directing MRB Group to fully and timely complete the review of all bidder qualifications and references as contained in the bids received by the Village of Hoosick Falls pertaining to the Village Highway Department garage project, and to have the same completed as soon as practicable. No other business will be conducted by the Board of Trustees at this meeting. March 27, 2019—Justin Faatz DoB: 07/18/1984. Justin Faatz escaped from custody around 5:30PM. He was last seen on Main Street in the Village of Hoosick Falls. He is wanted for escape and burglary. He was last seen wearing a grey long sleeved zip-up fleece jacket with a red T-shirt underneath, and dark colored pants, with a handcuff on his right wrist. If you spot him, please call 911 immediately. We will update you as things change. 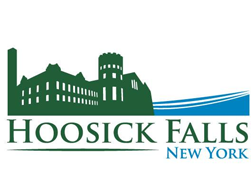 March 25, 2019—NOTICE IS HEREBY GIVEN that a special meeting will be held by the Village Board of Trustees of the Village of Hoosick Falls on Tuesday, March 26, 2019, commencing at 6 p.m. at the Hoosick Falls Village Hall, Municipal Building, 24 Main Street, Hoosick Falls, New York, for the purpose of review and action on the highway garage grant and a grant related to the Greenway, together with any other business that may come before the Board of Trustees. February 22, 2019—NOTICE IS HEREBY GIVEN that a special meeting will be held by the Village Board of Trustees of the Village of Hoosick Falls on Monday, February 25, 2019, commencing at 6 p.m. at the Hoosick Falls Village Hall, Municipal Building, 24 Main Street, Hoosick Falls, New York, for the purpose of review and action on an amended bond resolution in connection with improvements to the existing sewer system of the Village of Hoosick Falls, review of public bids and award of contract for public works associated with the sewer system improvements project, review of requests for adjustments to certain water bills issued by the Village, together with any other business that may come before the Board of Trustees. Mayor Allen says the plan is short on action, calls on EPA and Congressional Representatives to set an MCL for PFOA and PFOS immediately. February 14, 2019—Today, Mayor Robert Allen issued a statement regarding EPA's PFAS Action Plan. Read the mayor's statement. February 12, 2019—Despite the current storm, we are still planning on having the Regular Board Meeting this evening (February 12th) at 6PM at the Municipal Building. Download the agenda. For upcoming happenings and events, check out the event page. The newspaper of record for the Village of Hoosick Falls is the Eastwick Press. Public notices will be posted in the paper.